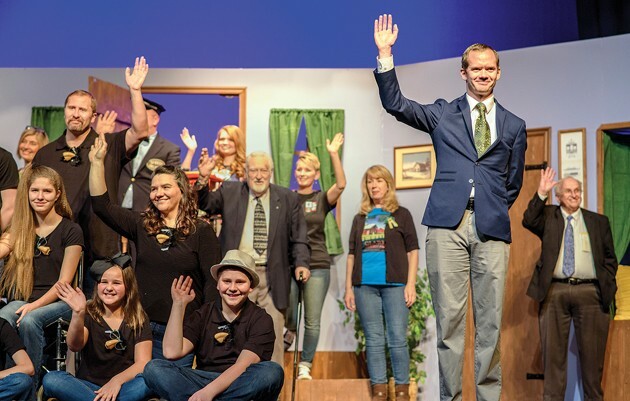 Chad Carter in character as Mr. Rogers and the cast wave at the end of their performance of “In Our Neighorhood” Saturday afternoon at the Sociable. 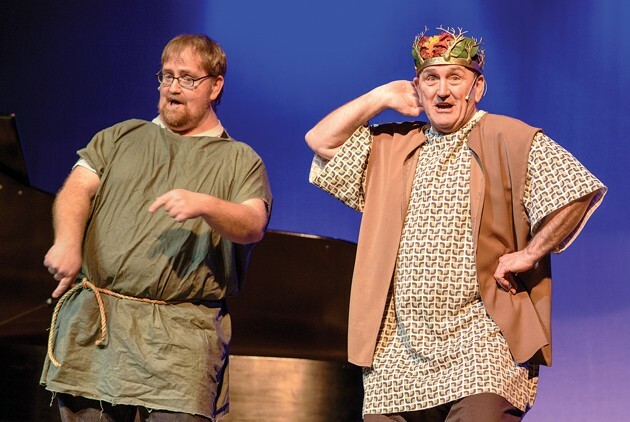 Matt Price and Jerry Stocks perform “Everybody Ought to Have a Maid” at the Sociable program Saturday afternoon. Keilani Martinson and ensemble performed “Daddy’s Nose” at the Sociable program. 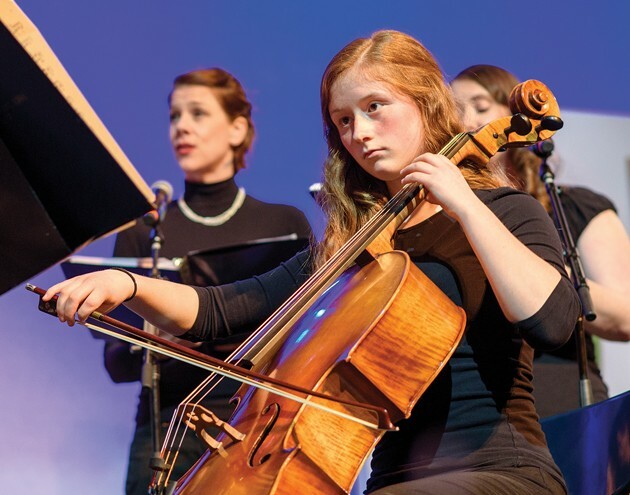 Sarah Kurtz performed with the Pioneer Valley Chamber Ensemble at the Sociable program. 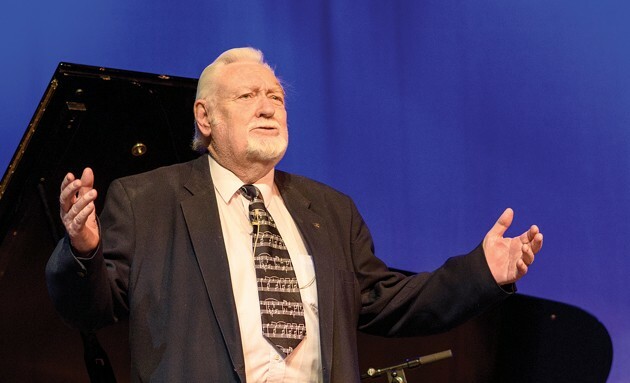 Tom Stam sang Neussun Dorma from Turadot by Puccini. 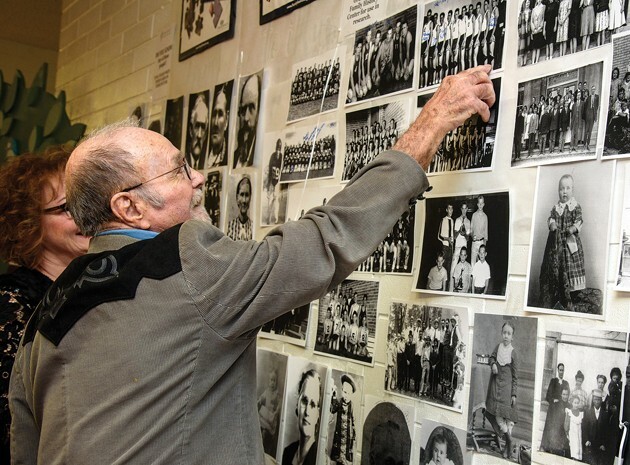 Deloy Fawson points to himself in a photo of the 1947 Grantsville High School basketball team on display at the family history booth at the Grantsville Sociable Saturday afternoon. 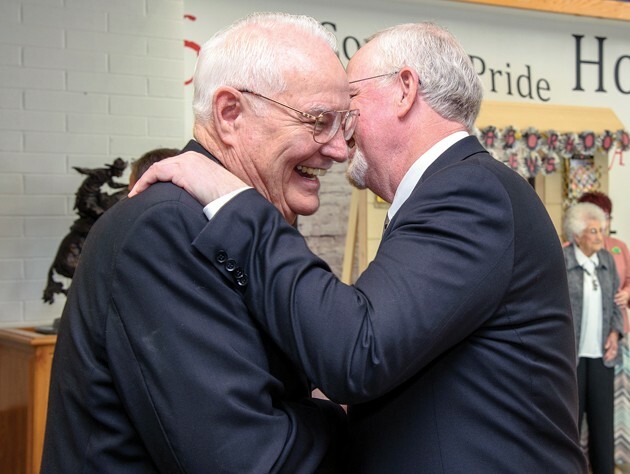 Don Neilson is greeted by Neil Critchlow at the Honored Guest Reception. 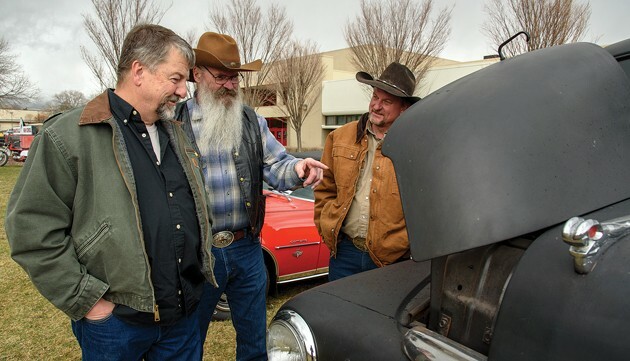 Owner Greg Lund (right) shows off his Dodge B1B truck at the car show to Tom Koester and Rod Thurber Saturday afternoon. 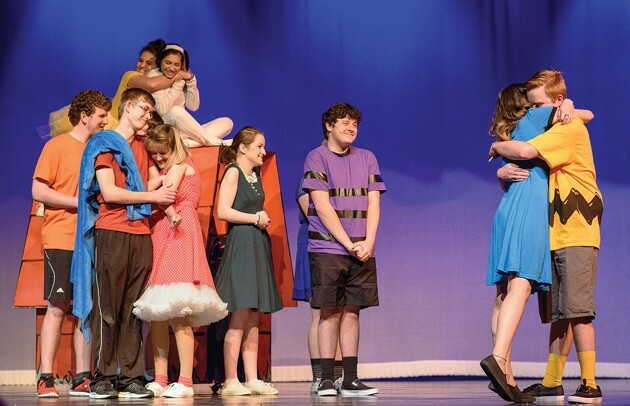 The GHS Musical Theater Class performes “Happiness” at the Sociable. 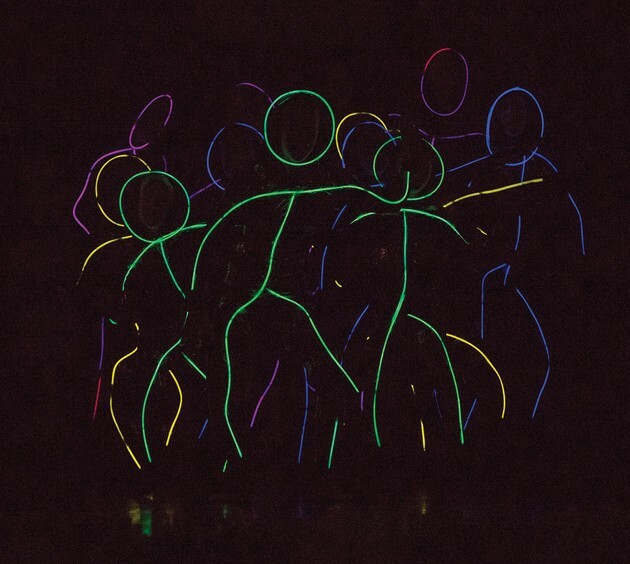 Glowstick Dancing met audience approval on Thursday morning during a performance of the Children’s Sociable. 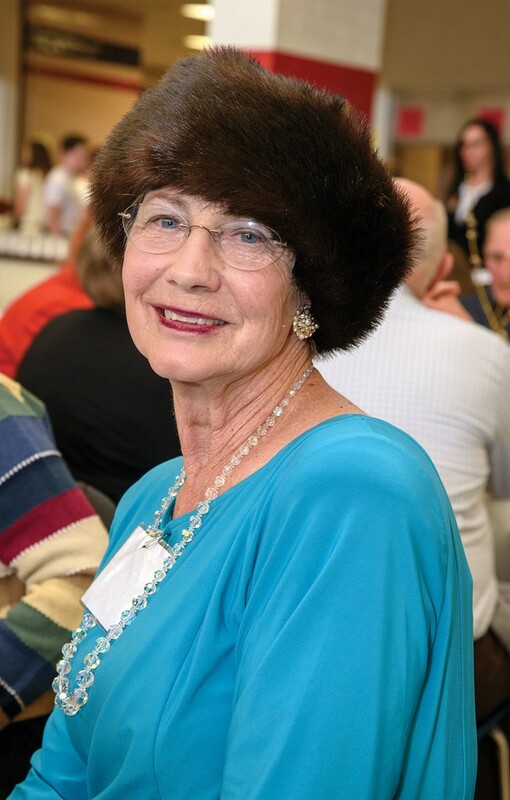 Karen Watson looks chic in her sable hat at the Honored Guest Reception, part of the Grantsville Sociable. 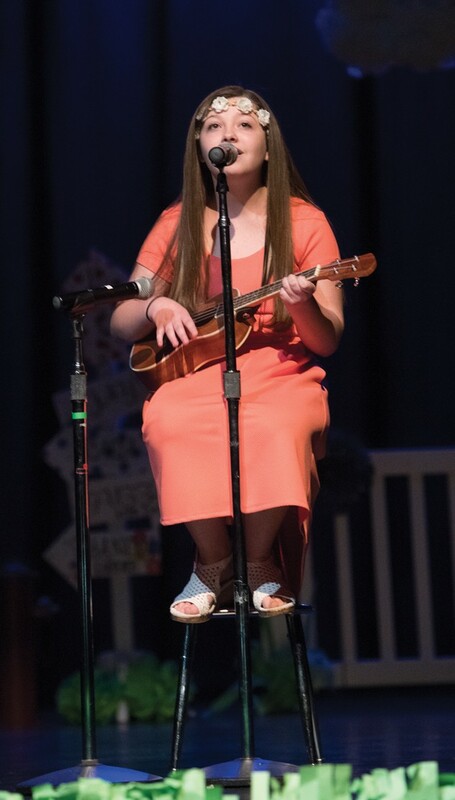 Courtney Chambers sings “Hallelujah” and plays the ukulele. 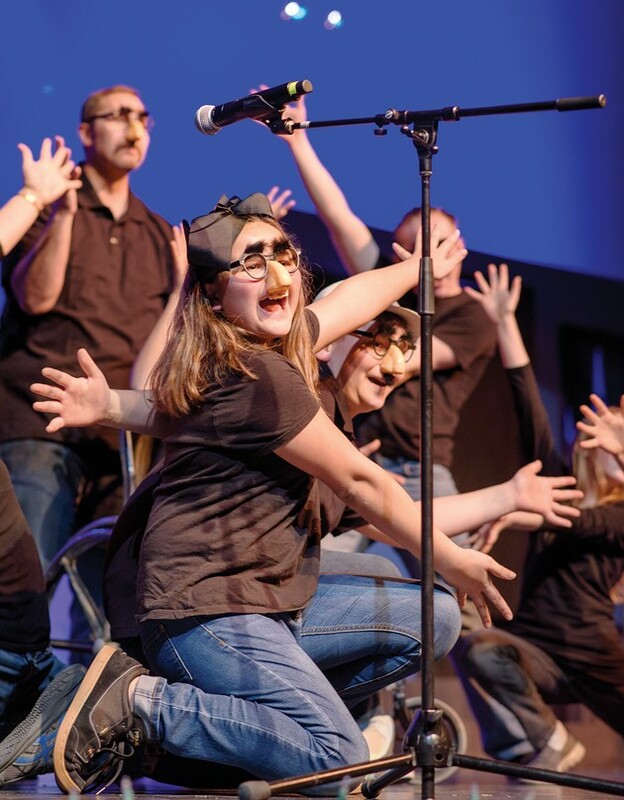 Chambers received a loud applause from the audience made up of students and faculty from Grantsville Junior High School at the 2018 Children’s Sociable. 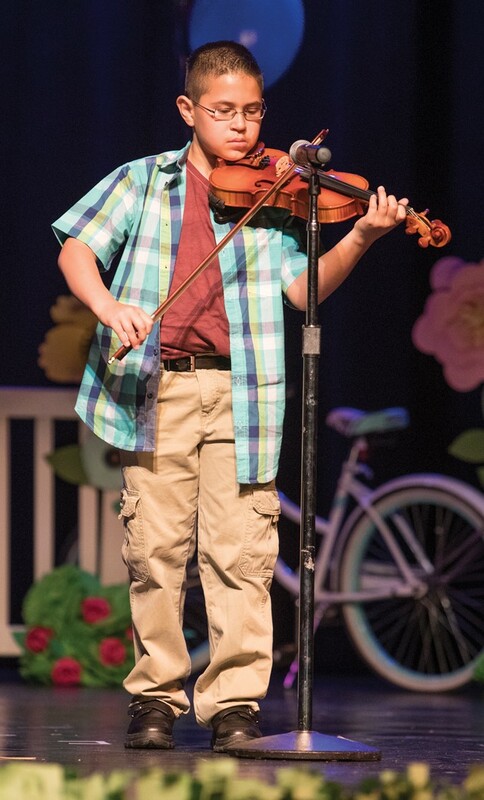 Violinist Joseph Trapp performs “Love Runs Out” at the Children’s Sociable. 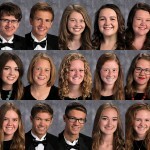 Also performing on the piano was Jade Trapp (not pictured). 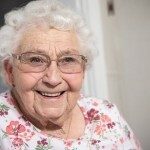 The 134th Grantsville Sociable celebrated both new and old friendships, community and the neighborhoods in the city. This year’s Sociable had the theme of “In our Neighborhoods,” which shined a spotlight on how Grantsville’s unique neighborhoods serve to welcome residents who are new to the city and the Sociable. 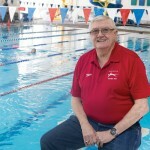 The theme also served as a welcome for old residents to meet longtime friends and make new friends. 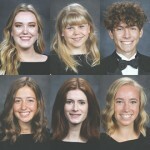 More than 1,300 people attended this year’s festivities which included a car show, dinner, live music and dancing plus entertainment from local talent.